The RCN summary relates to the role of the Mental Health Nurse (MHN) in the physical health of people diagnosed with severe mental illness in the context of the RCN’s Parity of Esteem work programme. The scope covers the role specifics, what may work in reducing the mortality gap, the skills and resources MHNs need and the systems are in place to enable them to work effectively. The dangers of poor physical health have been known for a number of years; there remains a significant level of concern over the health inequalities that continue to be experienced by those diagnosed with severe mental illness. Research has identified the main role of the MHN as one of assessment and monitoring the physical health care of clients diagnosed with severe mental illness, but a number of issues have been raised around how systems equip and support MHN to fulfil this role. Research cites lack of knowledge and skills, systemic issues linked to fragmentation of services, lack of training and education, and lack of polices and guidance for practice. 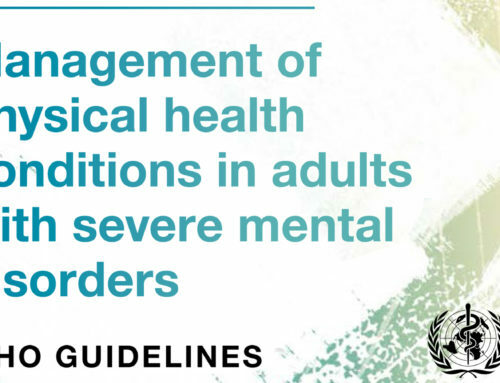 In addition, there is a requirement to focus training on the individual and social determinants of health that contribute to the poor physical health of those with SMI.